Barbara Browne is a Registered Social Worker in practice since 1979. She is recognized as an outstanding clinician and consultant by doctors, agencies, educators, businesses, organizations and the legal system, who all refer their clients to her. Her approach is client-centred, holistic and optimistic. 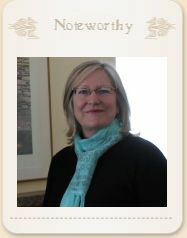 Her special expertise in the areas of child abuse, sexual abuse and trauma have brought comfort and healing to many. Barbara is also a trainer and consultant to other professionals and organizations. “During my sessions with Barb, I feel the weight of my stresses slowly lifting off my shoulders. Barb indulges me the freedom to move from topic to topic as they come to me, and let out what I need to say. With few, but well-chosen words, Barb comments, questions or reiterates what I have said. It is these words from Barb that I take away from our meeting and use as tools to guide me. I not only listen to Barb’s words, but I really hear them and take them in. Between our sessions, I will think over Barb’s words and have them available to me to put into practise when facing my next challenge. They become tools for my life.” —D.M.